Wi-Fi dead spots can be pretty frustrating, but mesh systems are here to help, creating blanket Wi-Fi coverage for your home. Of course, getting this kind of coverage can be pretty pricey, but today the Netgear Orbi mesh Wi-Fi system, which includes a router and two satellite extenders, is $210 on Amazon when you check the coupon box. Earlier this week, we noted that it was on sale for $250, down from a list price of $300, but this coupon makes it another $40 cheaper from even that awesome price. So, yeah, we just had to share. To be perfectly accurate, the Orbi isn’t technically a mesh system. It’s a closely related hub-and-spoke system, but you shouldn’t worry about terminology, because this system just plain works. It can provide Wi-Fi coverage for your entire home (up to 6,000 square feet) by using connected Orbi satellites to extend coverage. Though this set comes with two satellites, you can add more to the system to extend that coverage even further. Each satellite comes with built-in ethernet ports, so you can hardwire in as needed. Using the connected Orbi app, you can control your Wi-Fi from anywhere. You’ll be able to create parental controls, monitor usage device-by-device, test connection speeds, and a whole lot more. You can also create guest networks and share login credentials securely. When we reviewed this system, we gave it 4 stars out of 5 for its strong performance and great feature set. 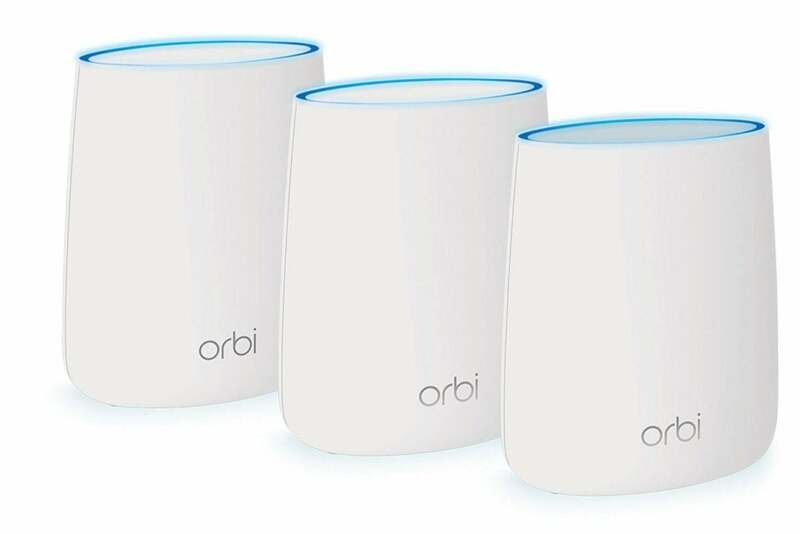 This story, "Netgear's Orbi mesh Wi-Fi system just got insanely cheaper: 30% price drop" was originally published by PCWorld.